With the release of HANA 2.0 SPS 02 database and the fact that HANA 2.0 is mandatory for S/4HANA 1709 release, many customers who are embarking on S/4HANA journey will be faced with the task of upgrading their current HANA 1.0 database to HANA2.0. For HANA 2.0, there are minimum operating system and hardware requirements that needs to be fulfilled. These changes may require a OS and/or Hardware upgrades based on your current infrastructure. Recently, I had to recommend Hardware and OS upgrades to a customer, who was running their HANA 1.0 DB on an Intel Ivy Bridge based hardware and old OS version. They were planning to upgrade S/4HANA 1610 to S/4HANA 1709 which required HANA 2.0. These upgrades, if necessary, will add additional time to the overall project and it’s recommended to plan so that minimum requirements can be completed in time before the actual database upgrade. 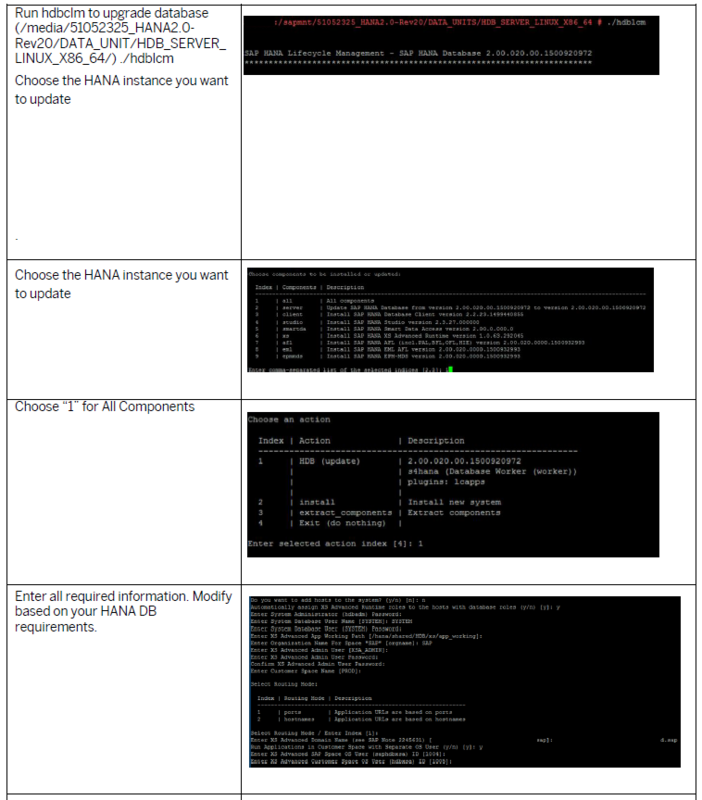 Also with HANA 2.0, Multitenant Database Containers (MDC) are mandatory staring with HANA 2.0 SPS01. 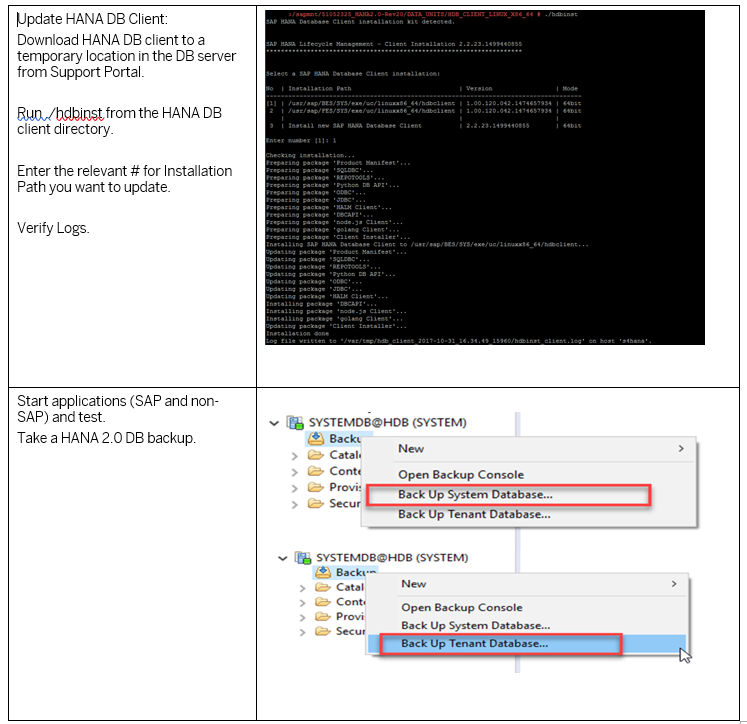 So, when upgrading to HANA 2.0 SPS01 or higher, if your HANA 1.0 is a single-DB system, then the upgrade will automatically migrate the single-DB to MDC. 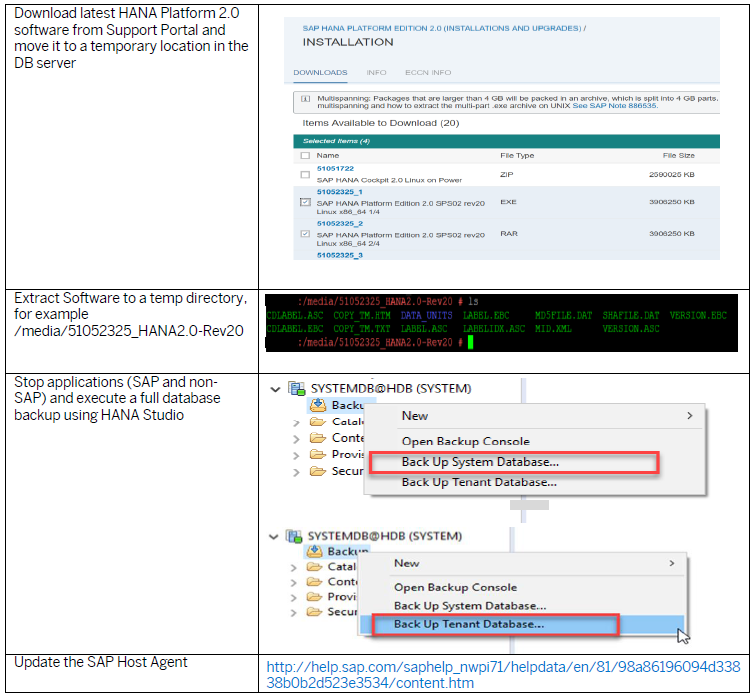 Below, I have detailed the steps to perform HANA 2.0 upgrade and other relevant SAP notes and release information. 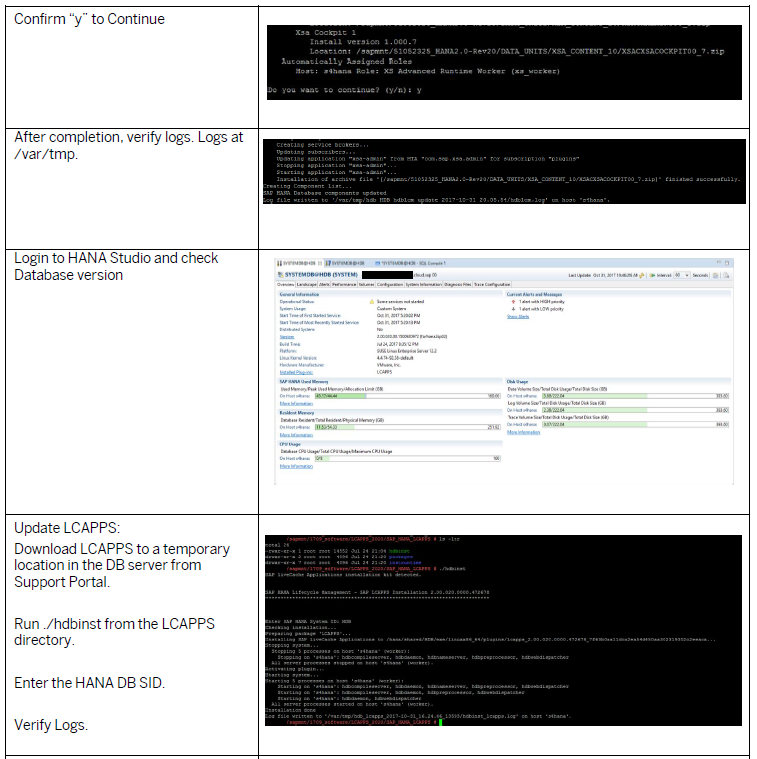 Please click here to download the HANA 2.0 DB upgrade document in pdf format. Hope this blog is helpful for the SAP community. If you have any questions or comments, please let us know in the comments section. I think this steps should be added to cover the complete scope of steps for an upgrade.